Make a charming art quilt using one of the wonderfully colored batik panels from Turtle Hand Batiks. This is a quickly pieced class and can be quilted so many fun ways to enhance the piece. Cost does include the kit that includes everything except batting and backing. Falling in love makes us do crazy things. For Tina Hilton, the object of her affection was batik, Malaysian batik in particular. From 1997 -2000 Tina lived in Malaysia and was smitten with the traditional batik used for traditional Malaysian clothing and collected a vast quantity. Strangely, Tina did not sew and had a deep seated loathing of sewing rooted in a junior high Home EC class taught by a domestic arts tyrant! Luckily, a fellow expat introduced her to quilting and all the fantastic creations she made with Malaysian batik. 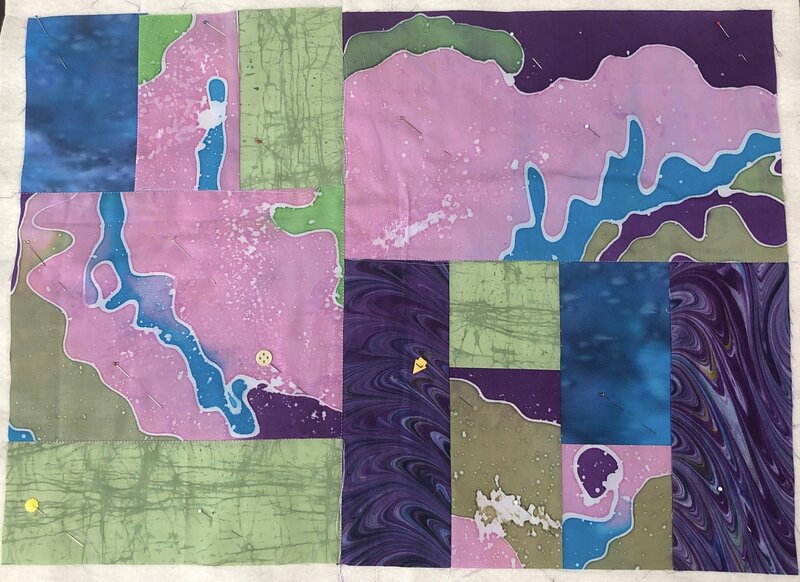 Once back in the US, Tina embarked on a series of weekly quilting classes spanning over three years. A marriage made in heaven - batik and quilting! Serendipity relocated Tina and her husband back to Malaysia in 2010 and the passion was rekindled. 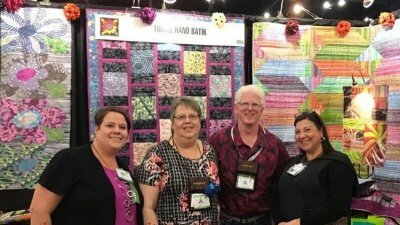 This time with a determination to seek out the best and most unique batik to share with quilters in the US and around the world. Turtle Hand Batik was born in 2012 and has been sharing the beauty of Malaysian small batch batik ever since. When Tina’s not tending to her wooded acre Texas home, she’s traveling to quilt shows all over the country. In March 2019 she will be back in her happy place - Malaysia – working with her batik artisans on new creations and seeking out new and exciting ideas.